I had lunch the week before last at ezard with Ed, Jess and some of Jess' Lincoln crew. It was a recovery lunch of sorts, as we three food bloggers had been out the night before drinking many, many wines at the Young Gun of Wine Awards (followed by glasses of Amaro Averna at the Supper Club). We were all feeling a little tender. 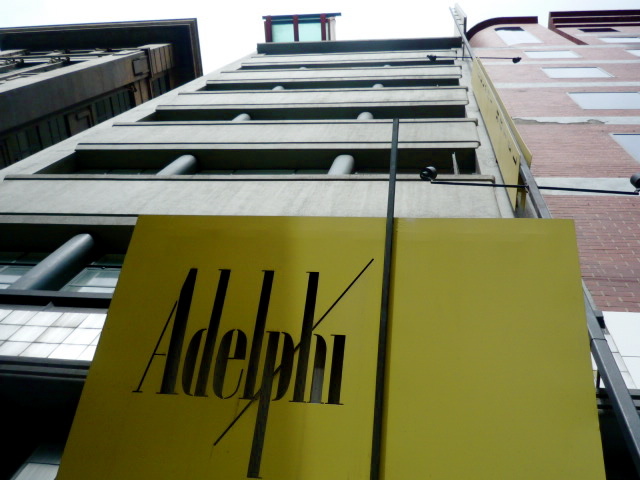 It's been ten years now since one of my very favourite chefs, Teage Ezard, opened his eponymous fine dining restaurant in the sleek basement of the Adelphi Hotel. These days, ezard is offering a lunch express menu from Monday to Friday: two courses for $35, three courses for $45 and a choice of two dishes for each course. 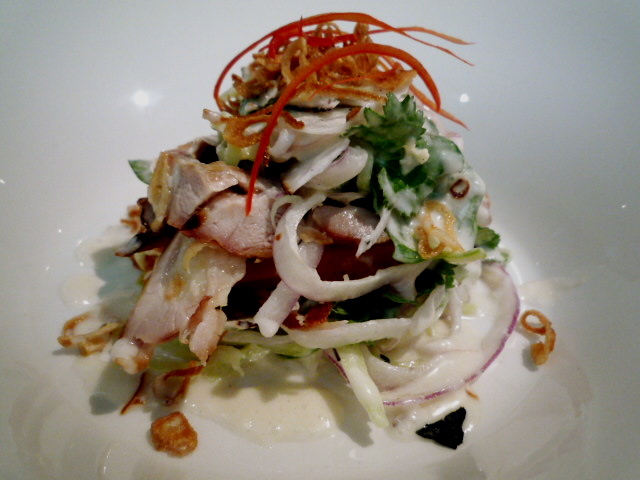 The service was impeccable and the food (Asian fusion in the best sense) superior. The mark-ups on the wine are still excessive though! We had two excellent bottles, the Austrian 2007 Emerich Knoll Federspiel Gruner Veltliner and the French 2007 La Madone Fleurie "Special Old Vine" Gamay. 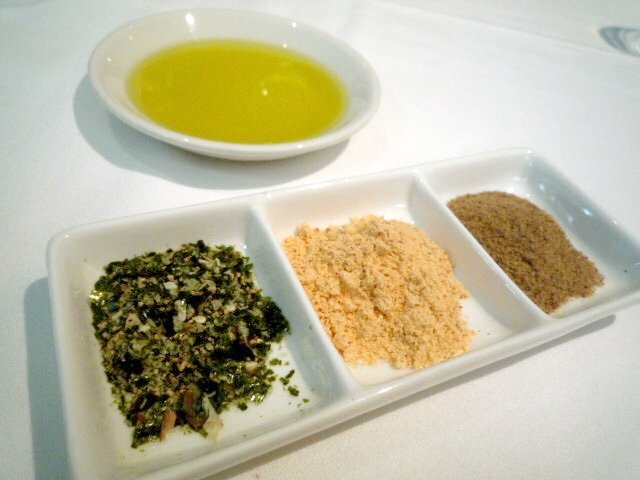 To start, we were served fresh bread, parmesan/garlic/rosemary-infused olive oil and three different powders: dashi salt (with nori, sesame seeds and toasted fish flakes); chilli rock sugar; and "prickly ash" (roasted salt and Szechuan pepper). I liked the prickly ash best. We were brought some appetisers compliments of the house. On the left was ezard's famous Japanese oyster shooter: a Tasmanian Pacific oyster swimming in a shot of mirin and sake, with a tiny drop of pickled ginger and wasabi. Waaaaay back in 2002 when I first came to ezard for the degustation, this was the shooter that first made me really love oysters... it's just as good now as it was then. The other appetiser was a juicy nugget of salmon cured in kaffir lime and vodka, with a blob of sour cream pannacotta, a sprinkling of shiso leaf and a few pearls of Yarra Valley salmon roe. Sensational. For some unfathomable reason I forgot to photograph the appetisers (!! ), but Jess very graciously gave me permission to use the photo below from her review of this lunch. Thanks, pet! 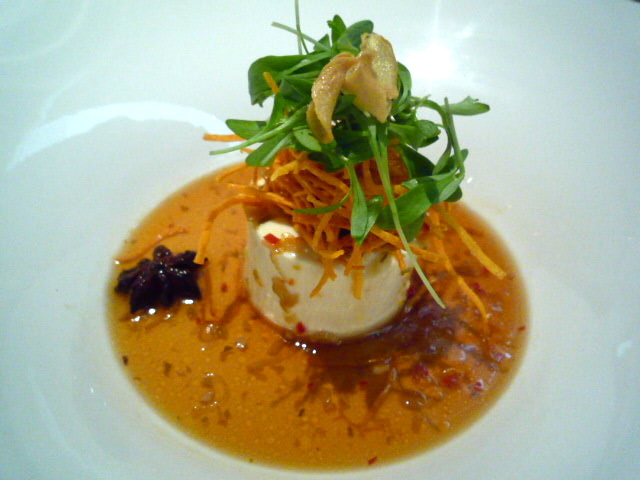 ...the steamed silken tofu with Asian oils and crispy sweet potato. The waiter glided over and placed the dish down on the table, without upsetting the sweet potato curlicues and leaves perched on top of the voluptuously wobbling tofu. I was impressed. Loved the visual detail of the star anise, too. 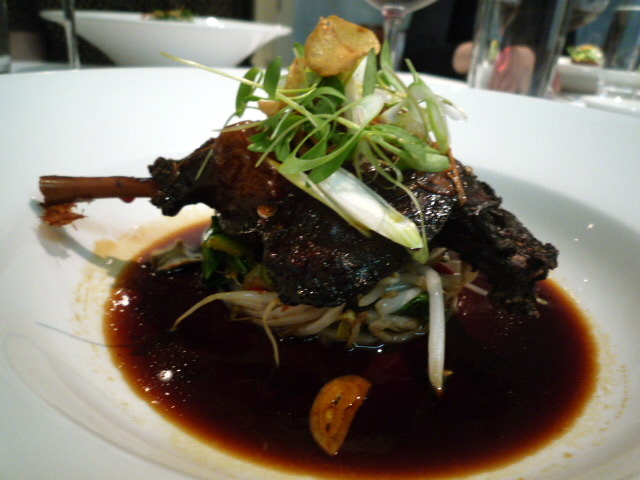 For my main I absolutely yummed up the master stock braised duck leg with bean shoot salad and black vinegar. He loves his master stock, does Teage Ezard. A variant on one of his signature dishes (the master stock crispy fried pork hock with chilli caramel and spicy Thai salad, a recipe for which can be found here). 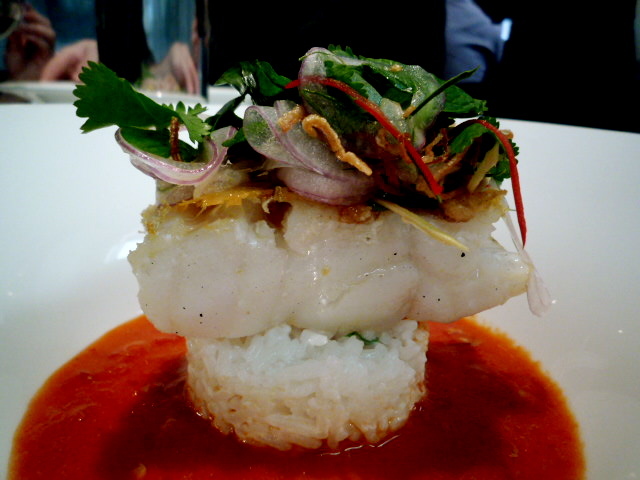 The others ordered the pan roasted rockling fillet with coconut rice and red nam jim. Again, brilliant presentation. Jess commented that the nam jim was quite a bit milder than nam jim typically is, but that it suited the dish. 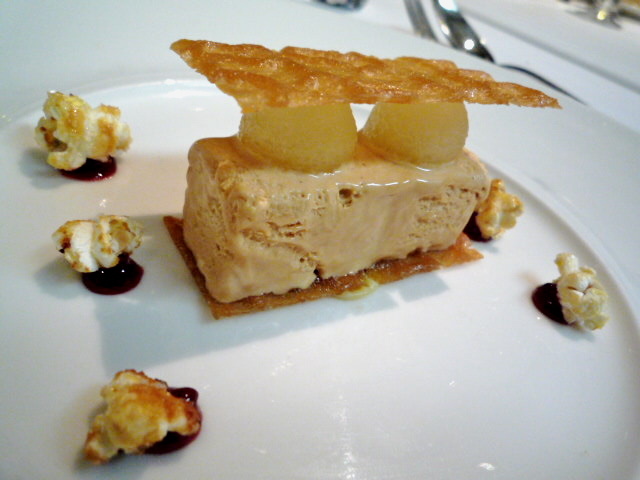 A couple of us decided to go the extra course for another ten dollars: caramel parfait with confit apple, salted popcorn and rice paper tuille. As regular readers of the blog know, all it takes is the words "salted" and "caramel" in the same sentence and I'll probably order it. Mention "parfait" and "confit apple" as well and I'll definitely order it. If my two favourite Cutler & Co desserts, the ice cream sandwich and the Toffee Apple, were to mate then their heavenly lovechild might look something like this. And yes, those droplets of red you see underneath the popcorn pieces are chilli jam. Love! 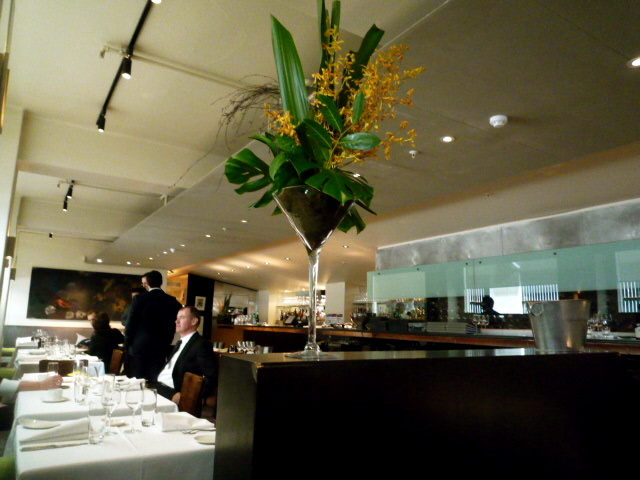 Ezard has been one of the places that I have refrained myself from going. But you may have just convinced me. That rockling was pretty amazing in texture and flavour. A great lunch but amazing how the bill creeps up from $35! Jeroxie, you have to go. I had the express lunch a couple of months ago, I was pretty disappointed in the end; especially so given how much I enjoy Ginger Boy. You can't argue with the price, but in the end my lunch was marred by how overly salted everything was - I could barely taste the food, and I am a big salt fan. I've had this problem before at a few big name eateries (e.g. Cafe Di Stasio) and hopefully it was just a one-off. Glad to hear you enjoyed the experience though. Whoah. That steamed silken tofu looks pretty spectacular. It's been a year since we've visited Ezard and I want to go back. A LOT. Good to hear the rockling rocked, Ed. I know what you mean about the creeping bill... I fear those two bottles of wine may have had something to do with it. Sorry to hear about your disappointing meal, Miles! About the salt thing, another reader made a similar comment on my review of Gingerboy. Personally, I've never found the salt to overwhelm the other flavours in his dishes. 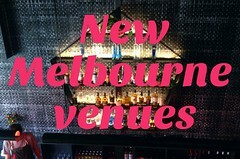 Agreed, Mish Delish! I normally tend to go for entree + main rather than entree or main + dessert, so as you say it's nice to have the option of adding the dessert at the end (if you're not already full). 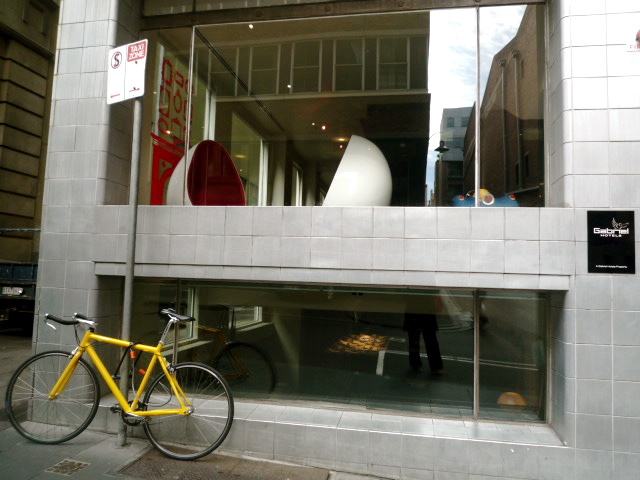 Hi Stephen, yes so many great restaurants in Flinders Lane! I've never been to Verge, but am an ardent fan of Cumulus Inc. 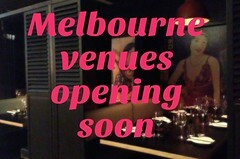 Lunch with a fellow lawyer/food blogger sometime sounds good!